Gulan Camp / SOLIDARITES INT. Sakena Yacoobi a touché les vies de plus de douze millions de personnes à travers ses efforts inlassables pour faire progresser l‘éducation en Afghanistan. Son travail vient d‘être récompensé par le Sommet mondial pour l’innovation en éducation, qui lui a remis le prix WISE de l’année. 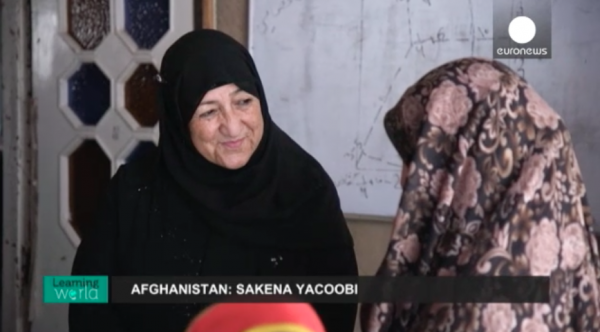 Sakena Yacoobi has touched the lives of more than 12 million people with her tireless efforts to transform education in Afghanistan. Now her work has been recognized at the World Innovation Summit for Education in Doha where she was awarded this year’s WISE Prize.